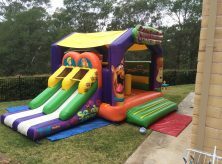 JUMP2U Jumping Castles and Party Hire is an Australian owned and operated entertainment. JUMP2U Jumping Castles and Party Hire is an Australian owned and operated entertainment business run by a happy couple illustrated here in this photo. Please…allow us to introduce ourselves. My wife and I possess a very deep and genuine passion for happy kids of all ages. Hard to tell with our poker faces hey!!! Having three children under the age of 7, we cherish every minute we spend with them and appreciate all those happy (and challenging) moments we share in their developing ages. 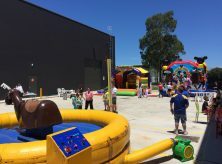 JUMP2U Jumping Castles and Party Hire Sydney is an Australian owned and operated entertainment business, which gifts you and your children a memorable, fun and a fascinating experience that would be preserved for a lifetime. JUMP2U offers excellence in entertainment services at a very affordable cost, making us a leading entertainment service provider in Sydney. Since we possess a very deep and genuine passion for happy kids of all ages, we humbly invite you to share your happiness and cherish your kids every time you spend with us. 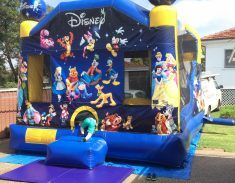 Whatever the occasion, the entertainment services providing by JUMP2U Jumping Castle Sydney are well liked by everyone in Sydney, and are often invited for making their events delightful and memorable. JUMP2U - The best Gift for your little star. We know that Kids crave for fun and colourful experiences. JUMP2U can assist in making them become more active, enthusiastic and playful throughout their development stages. 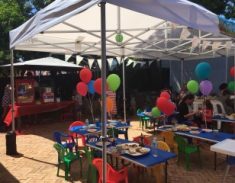 Therefore, it is always a good idea to engage in Jumping Castles and Party hire, inevitably making your kid a happy one on their special occasion. 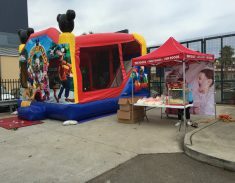 Sydney Jumping Castle provides everything your kids like best, fun and engaging products and services. We passionately engage with your kids and their Interests and likes, in attempt to fill their time with loads of fun and laughter. 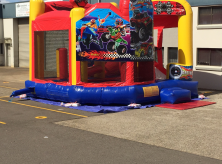 Why should you choose JUMP2U Cheap Jumping Castle Hire Sydney? 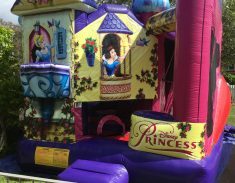 Sydney Jumping Castle Hire ensures that the best Hygienic, disinfected and most comfortable castles are made available for your kid. Safety is our utmost priority. Our Jumping Castles and other products are clean, disinfected and safe for kids of all ages. Here at JUMP2U jumping Castles, we provide only Quality products which will ensure your kids are safe. Our products are manufactured accordingly to comply to the safety rules and Australian Standards 3533.4.1. 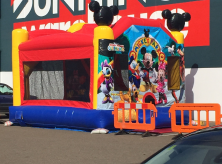 We can proudly declare that our Disney Jumping Castles are Fully Disney and Marvel Licensed, and we will keep proving all the services necessary to comply accordingly with Australian certified standards. 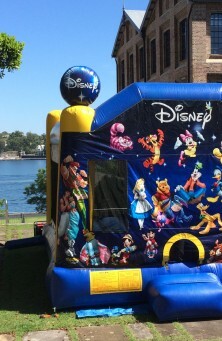 Cheap Jumping Castle Hire Sydney provide all services with a fair and competitive price. Our Lowest Price Guarantee will ensure that you will receive our products and services cheaper than those who offer the same price. 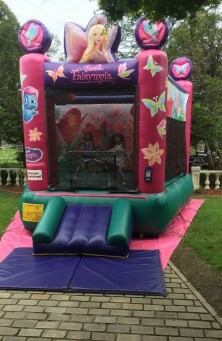 No matter whatever the Occasion, Hiring Jumping Castle is a great option. 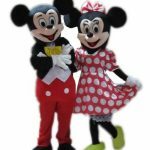 JUMP2U can efficiently handle all types of Occasions such as Backyard parties, Fetes, Corporate events, Fundraising programs, Open Day programs, all kinds of Promotion programs and all other special Occasions. At your request, we can also provide a team member to supervise all products while your special occasion is taking place. They will take great care of all products and kids throughout the occasion/event. We are available 24/7 and 365 days per year. If you want to make your event stress free and memorable, visit our website or contact us on 1300 JUMP2U. We are always ready to serve you.